Possibly uniquely, the route of the railway passes through the carriage sheds. Just east of here, behind the sheds, the railway ran on an iron "viaduct" over what was once sea, but is now shingle right up to track level. The metalwork of the viaduct is or was still under the railway (and the shingle). 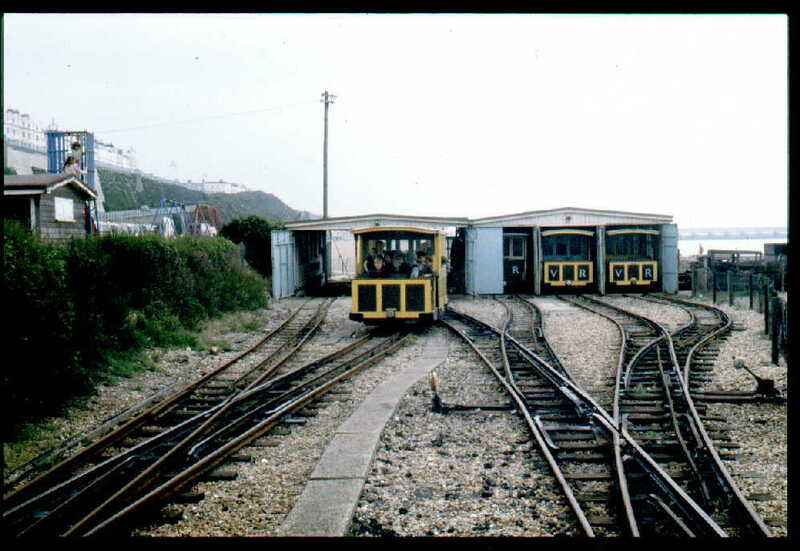 This section was not anything to do with the "spider" railway that ran to Rottingdean. "Peter Pan" playground to left and the then fairly new marina in the distance on the right.